After the Deputy Lieutenant drew the ceremony to a close, there was an opportunity for some photographs. Here the VIPs pose with two Bute veterans, Cmdr. 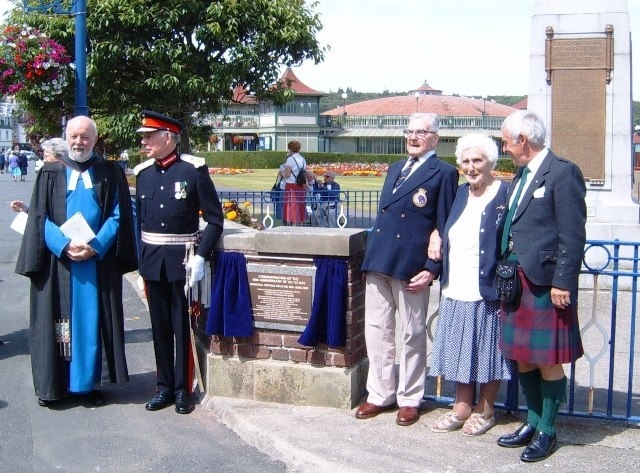 Ian Hamilton (RN Retd), and Jess Sandeman who served on board HMS Cyclops home-based in Rothesay Bay during the war, and is a former Chief Wren.